Jenna Hill, the niece of Scientology leader David Miscavige, is to publish a memoir of her life in the movement. If it's anything like the devastating open letter she wrote to the movement in 2008, they need to batten down the hatches. First there was the book project on Scientology announced by Pulitzer-prize winning journalist Lawrence Wright following his devastating New Yorker article on celebrity defector the film maker Paul Haggis. Then Tony Ortega, who towards the end of his five-and-a-half years stint as editor-in-chief at Village Voice wrote a column on Scientology that became essential reading for anyone following the movement, quit his day job. He too is off to write a book on Scientology, with a trailerload of goodwill from the ex-member community – and a full contacts book. But now it seems that Jenna Hill, the niece of the movement's current leader, is going to beat them both to print. Hill is getting ready to publish a memoir of her childhood inside Scientology – and how she rebuilt her life as an adult outside the movement. Beyond Belief: My Life in and out of Scientology, published by William Morrow, is due out in January next year. Jenna first went public about Scientology in January 2008, when Scientology was busy trying to rubbish Andrew Morton's recently released Tom Cruise: an Unauthorized Biography. 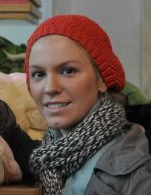 Jenna took exception to a 15-page denunciation of Morton's book in which Scientology spokeswoman Karin Pouw dismissed it as a “bigoted defamatory assault replete with lies”. One thing in particular outraged her. Pouw had categorically denied that the movement forced members to break off contact with relatives considered hostile to the movement. This practice, known as disconnetion, means former members who have either quit or been cast out of Scientology lose all contact with loved ones still inside. Jenna knew from personal experience that this particular claim was a lie. As you well know, my parents officially left the Church when I was 16 in 2000, she wrote to Pouw in a January 2008 open letter. I, having been separated from them at the age of 12 and thoroughly engulfed in the beliefs of the Church since birth decided not to go with them. Not only was I not allowed to speak to them, I was not allowed to answer a phone for well over a year, in case it was them calling me. Only after they had seen the letters and decided it was ok for me to see them would I receive some of them while sitting in a board room while they watched me read them and asked me to comment on them, she continued. Between the ages of 16 and 22, she wrote, she was allowed to visit her parents once a year, for a maximum of three to four days – even that was only after her parents had threatened legal action if Scientology tried to prevent it. Even then, she wrote, she had to submit to a “Security Check Confessional” before the visit and immediately after her return. That involved being questioned about if she intended leaving Scientology; and whether her parents had said anything bad about the movement. During these interrogations, she was hooked up to one of Scientology's electropsychometer, or e-meters, the deviced used in the movement's auditing, or therapy sessions. On this occasion though, they served a different purpose. Hill described the e-meter as “similar to a lie detector”. This happened every time she visited her parents, she wrote. Jenna went on to give examples of how Scientology's leader David Miscavige, her own uncle, had effectively torn his own family apart by enforcing the disconnection policy. For as per policy, relatives still inside the movement had announced they wanted no further contact with those who had left – regardless of whether they were openly critical of Scientology. As I have explained in detail elsewhere on this site, disconnection is not the freely taken choice of any Scientologist: it is a compulsory measure taken against anyone the movement designates as beyond the pale. Hubbard’s disconnection policy, which he first introduced in 1965, was so controversial and attracted so much negative publicity that he cancelled it in 1968. In her 2008 open letter Jenna went on: I can name at least five friends off the top of my head [whose] family members are not allowed to speak to them without being themselves ousted from the Church and prevented from communicating with other members of their family and even their children still involved in the Church lest THEY too be ousted! These were people who could not speak to their own children because they had quit Scientology, she wrote. This is a widespread practice … these people's families are crying every day because they can't speak to their children who did nothing but leave the Church of their own free will. Jenna closed her letter with a suggestion – an appeal, almost – that the movement divert its energy from attacking its perceived enemies to repairing the damage wrought by disconnection – starting with the family of David Miscavige himself. Hell, if Scientology can't keep his family together – then why on earth should anyone believe the Church helps bring families together! It was powerful stuff and at the time emboldened a lot of other Scientologists who were still hesitating to speak out – but it had no discernible effect on Scientology policy. For as the relevant news groups and Internet forums confirm on an almost daily basis, Scientology enforces disconnection with the same ruthless efficiency as it ever did. ESK has influenced a range of people, including ex-members who went on to become one of the movement's leading critics. Jeff Hawkins spent 35 years inside Scientology – most of his adult life – before joining the recent wave of defectors and rebuilding his life. He credits ESK for having finally convinced him to speak out. As he put it at his blog, Counterfeit Dreams: “You could say they shamed me into it. ESK attracted an eclectic mix of visitors including second-generation members who, like the site's founders, had since quit the movement. Many of them took the time to tell their often quite distressing stories. And the website received floods of correspondence – and not just from former members. Other readers wrote in to tell them how the site had opened their eyes to Scientology's abusive nature. In recent years however, its levels of activity have fallen off dramatically (Kendra, for one, has moved on to other things). It was also the target of some quite ferocious spamming that for a while made it all but unusable. But a visit to the site shows recent signs of life: both Jenna and Astra have updated their media profiles. And both take the time to express their solidarity with Katie Holmes, the most high-profile defector from the movement, who this summer ended her five-year marriage to Tom Cruise. Media reports have suggested that Holmes was determined to prevent daughter Suri from being drawn further into Scientology. My experience in growing up in Scientology is that it is both mentally and at times physically abusive. I was allowed to see my parents only once a week at best – sometimes not for years. While it is very unlikely that Suri Cruise would have the same upbringing as me (due to her parent's celebrity status), any organization that is capable of mistreating and neglecting the needs of children, regardless of their social status, and which has a long history of breaking up families is no place for an innocent child. Amazon – and no doubt other outlets – are already taking prepublication orders for her book. 1 Ironically, these senior executives were Marty Rathbun and Mike Rinder – who themselves have since quit the movement. They are now leading figures in what has become known as the Independent Scientology movement which still accepts the value of Scientology, but rejects the regime as it is run by David Miscavige. See Rathbun's blog Moving Up a Little Higher, to which Rinder is an occasional contributor. 2 From Chapter Seven of An Introduction to Scientology Ethics. But this originally came from a December 23 1965 Hubbard Communications Office Policy Letter, “Suppressive Acts Suppression of Scientology and Scientologists” – so it can hardly be said to be a corruption of Hubbard’s policies by the current leader Miscavige. 3 “An Ethics Officer can encounter a situation where someone is factually connected to a Suppressive Person, in present time,” wrote Hubbard. “This is a person whose normal operating basis is one of making others smaller, less able, less powerful. He does not want anyone to get better, at all. “PTSness and Disconnection”, September 10, 1983. 4 Counterfeit Dreams remains one of the best accounts by a former members of his time inside and is also available as a book. UPDATE: On September 19 the appeal court rejected plaintiff's application, affirming the district court's dismissal of the action. More details at the end of this piece. A lawyer for the mother of Kyle Brennan, a vulnerable 20-year-old who died while visiting his Scientologist father, will try today to persuade a Florida appeal court to reinstate their wrongful death lawsuit. The lawsuit over the death of Kyle Brennan arrives at a federal appeal court in Florida later Friday (September 14), where lawyers on both sides will present their arguments to the judges. Brennan died on or around February 16, 2007, while visiting his father, Thomas Brennan, a dedicated Scientologist, at his home in Clearwater, Florida. He died from a single shot to the head from his father's .357 Magnum pistol. At issue is whether Scientology’s dogmatic hatred of psychiatry contributed to the death of the mentally troubled 20-year-old. Targetted in the lawsuit are Kyle's father, Thomas Brennan, two other Scientologists and the Church of Scientology Flag Service Organization – the movement's Florida operation. Representing Kyle Brennan's mother Victoria Britton at the Federal Court of Appeal in Jacksonville Florida will be attorney Luke Lirot. But legal briefs already filed by both sides give an idea of the arguments they will advance in oral argument today. Lirot will be trying to persuade the judges to overturn a district court ruling that dismissed the case last December. Scientology's attorneys will be arguing that the appeal court should follow the district court and throw out the lawsuit. Both sides agree that in the days leading up to his death he had not been taking the medication his psychiatrist had prescribed him for his depression, Lexapro. Where the two sides differ is whether it was Kyle Brennan's decision to stop taking the drug, as his father says; or whether Thomas Brennan's Scientology-inspired opposition to psychiatric drugs prompted him to confiscate his son's medication. At the District Court in Tampa, Florida last December, Judge Steven D. Merryday dismissed the case. He took the view that the plaintiffs had nothing to counter Thomas Brennan's account. The plaintiff's claim of Scientology's complicity in, and responsibility for, Kyle's death remains a mere hypothesis that is without essential support based upon reasoned and direct inference from the available evidence..., he wrote. But Lirot, in his appeal brief, argues that the judge over-reached himself: that these were issues that should have been put to a jury to decide. He argues that there is more than enough evidence to show that Scientology's dogmatic opposition to psychiatric drugs was at the root of the tragedy. Scientology's anti-psychiatry dogma and the rigid top-down ethics system that governs members' conduct were the keys to the case against the defendants, Lirot argued. One of the major tenets of Scientology is the belief that psychiatric treatment and psychological counseling is a forbidden practice, and the existence and use of psychiatric drugs is a forbidden and unacceptable human endeavor. But for Thomas Brennan, as a Scientologist, it would have been completely unacceptable that his son was taking a psychiatric drug to cope with his fragile mental condition, Lirot argued. And as a Scientologist, he had no option but to report the matter to his superiors. He argued that Brennan had turned to his spiritual counselor, Denise Gentile (née Miscavige; the twin sister of the movement's current leader David Miscavige); and Gentile informed a Scientology “Ethics Officer” whose job it is to enforce Scientology's values on its members. Denise Gentile, her husband Gerald and Thomas Brennan are the three individuals targetted in the lawsuit. In compliance with the commands from the Scientology Ethics Officer, Thomas Brennan locked the prescription Lexapro in the trunk of his car and had his son pack his bags and strip his bed of linens. Thomas Brennan then told Kyle's mother, Victoria Britton in Charlottesville, Virginia, that Kyle had to move out immediately. In support of their case, the plaintiffs – now the appelants – drew upon the testimony of former Scientology insider Lance Marcor. In his declaration Marcor set out how Scientology doctrine would have obliged Brennan to report the situation to his superiors – and how they would have reacted. Internal Scientology documents from FLAG, Scientology's Florida operation, showed that Brennan had reported the situation to Denise Gentile, who had informed her husband, Lirot continued. According to the extensive Declaration provided by Marcor, the tragedy befalling Kyle was the result of a meticulous and unwavering set of practices, showing the involvement that Scientology has on individuals in controlling their lives and implementing drastic and unorthodox mechanisms for “handling,” through whatever means necessary, the “high crime” of allowing the use of psychotropic medication. The implication appears to be that these missing documents would have supported the case against Scientology. Scientology's lawyers, in their filing to the appeal court, paint a very different picture. They portray Kyle Brennan as a troubled young man who even before he arrived in Clearwater to visit his father had not been taking his medication regularly – and may even have been contemplating suicide. 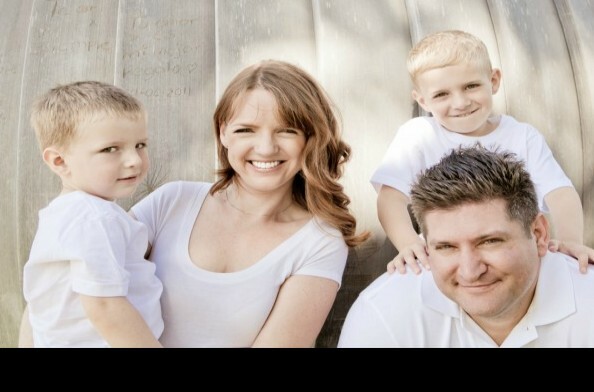 Kyle Brennan's parents, Victoria Britton and Thomas Brennan, were divorced and Kyle lived mainly with his mother and step-father in Charlottesville, Virginia. In the months leading up to his death, he had left his home to go travelling, visiting Iowa, California, Hawaii and finally his father in Clearwater, Florida. Scientology's brief quotes an affidavit from Kyle's paternal aunt, Cathleen Brennan, whom he visited in California about a month before his death. She described him as as “dark and gloomy”, uncommunicative and alienated from both his parents. During his visit to California, Kyle Brennan was staying in the house of another one of his other paternal aunts, Caryl Farrell. By February, Kyle Brennan's travels had taken him to Hawaii, where after he was the victim of an assault, he was interviewed by a police officer, Rockwell Silva. “Officer Silva interviewed Kyle, found him to be reasonably lucid, and advised him that his family was worried about him,” Scientology's attorneys noted. Later the same month, after more than two months of travelling, Kyle Brennan arrived at his father's apartment in Clearwater. But on the crucial question regarding the drugs, Scientology's lawyers underlined Tom Brennan's account: he said it was Kyle who had handed him his drugs – that it had been his son's decision to stop taking them, not something that he had imposed on him. During the nine days of his stay, Kyle Brennan seemed listless, spending a lot of his time at his father's apartment watching videos or on the computer. His parents were both concerned, and discussed their son on the phone: but they did not agree on what to do to help him. Victoria Britton rejected a suggestion that Kyle be admitted to Narconon, a drug treatment centre run along lines set out by Scientology's founder L. Ron Hubbard. She did not believe taking him off his medication was the solution. On the day Kyle died, his father says he had tried to bring him around to thinking about his future, but his son appeared to interpret that as his wanting him to move on. When he got back from work later that day, he found the door to his apartment barricaded from the inside. When he managed to gain entry, he found Kyle dead in his bedroom, having shot himself with his grandfather's police pistol – a family heirloom. The only role that the Gentiles played was as friends and advisers, the brief argues: they did not issue ultimatums or orders to Tom Brennan – nor is there any hard evidence in the legal complaint against the defendants to say otherwise. Scientology's legal team also points out that the Clearwater Police investigation into Kyle Brennan's death concluded that it had been suicide and that they had filed no charges against anyone. And they repeat the argument accepted by Judge Merryday in the district court: the plaintiffs simply have nothing solid to support their case against Scientology, or the individual Scientologists named in the lawsuit. For Lirot, representing Kyle's mother Victoria Britton, this account is a travesty. In a second, reply brief submitted to the appeal court, he set out to rebut two key claims of Scientology's legal team. He attacked the defence claim that Kyle Brennan had voluntarily parted with his medication. And he also argued against the defence position that Kyle's infrequent use of Lexapro would have cancelled any negative effect his being deprived of the drug might have had. Tom Brennan was now claiming that his son had voluntarily handed over his medication: but that did not tally with what he told police on the night of his son's death, Lirot argued. He referred to the account given by Officer Jonathan Yuen of the Clearwater Police Department, who interviewed Thomas Brennan at the scene shortly after he had discovered his son's body. There is no suggestion that this was a voluntary decision on the part of Kyle Brennan, Lirot argued. A: Basically he advised that he and Kyle had discussions about not taking the medication and trying to get off the medication and he decided to place it on the trunk of his car. Officer Yuen also said that Thomas Brennan had told him that Kyle only took his medication when he felt like it. Why then, asked Lirot, would Kyle Brennan have voluntarily handed over pills which, by father's own account, he took when needed? All the effort the defence team put into establishing Kyle Brennan's deteriorating mental state prior to his arrival in Clearwater was neither here nor there if in the crucial final days he was deprived of the medication he needed, Lirot argued. The second key question was whether or not there were any risks involved in taking Lexapro away from someone who had in any case not been taking it regularly. Kyle Brennan's psychiatrist, Stephen McNamara, took the view that while irregular use of Lexapro was not ideal, it was acceptable. But that did not mean that there were no risks of “a significantly adverse effect” if the user was suddenly deprived of the drug. And no matter that Scientology's expert witness took a different view: this was just the kind of disputed issue that should have gone before a jury. It should not have been decided by the District Court, Lirot added. Judge Merryday's ruling had ignored crucial facts in the case, Lirot argued. It never properly addressed the implications of Scientology's dogmatic opposition to psychiatric drugs and the authoritarian nature of its ethics system governing members' behaviour. And it had concluded that there was “no genuine issue of material fact” to put to a jury. But the plaintiff's contention that Tom Brennan had confiscated his son's medication was was not groundless speculation. It was supported by Brennan's own initial statements to the police. “His testimony is inconsistent, and the District Court, painfully, disregarded these inconsistencies....,” wrote Lirot. Judge Merryday had also ruled that those targetted in the lawsuit had no duty of care to Kyle Brennan. And if there was any dispute over the question of forseeability, well – that too should have been left for a jury to decide, he added. That was not the case here, he wrote. Scientology's legal team had cited a wealth of case law in defence of their clients, Lirot noted. But certain aspects of this affair made it unique. The plaintiffs did not dispute the right of Scientologists to their beliefs and their right to express their anti-psychiatry views, wrote Lirot. But those beliefs could not be imposed on non-believers. And this, he argued, was exactly what had happened here, with tragic consequences. What they wanted then, was their day in court – and before a jury, not just a judge. “After full review and oral argument, we conclude that... [Lirot] has demonstrated no reversible error in the district court’s order,” said the court. Case dismissed. Leaving aside the preliminary details identifying the case, the actual ruling ran to just five lines. In a response to the ruling, Lirot expressed his frustration that the court had not troubled itself to explain where his arguments had fallen down. “What an incredible disappointment!” he wrote. “We will get no further explanation, no comment, and no articulation of where the arguments I made were inaccurate, insufficient, or wrong. “I despise those situations where a Court rules against me, but does not articulate any basis to support their decision. “It does not happen often, but this is clearly the worst example of that hollow practice. “We can go to the Supreme Court, but that is the equivalent of a lottery ticket, since they take less than 3% of the petitions filed with them. Whether Victoria Britton decides to take that lottery ticket remains to be seen. But according to messages posted by her supporters, we can expect a statement from her before long. For a narrative summary of the final weeks of Kyle Brennan's life – and an account of the tortuous litigation surrounding this case, see my first posting in this section: Appeal lodged in Brennan case. Campaigner Justin Ross has launched his own website on this lawsuit, where you can find links to many of the key documents in the case. 1 Estate of Brennan v. Church of Scientology Flag Service Organization, Inc.; Denise Gentile; Gerald Gentile; and Thomas Brennan. December 6, 2011, Tampa, Florida, District Court summary judgment, Case No. 8:09-cv-264-T-23EAJ. Organization, Inc., et al. (Appellees). Get your son moved out and get him set up somewhere so that he can get handled. “The situation required handling and Kyle was not gone, so the only inference is that the offending medication had to be...,” writes Lirot in his reply brief (page 25). Former Scientologist Lance Marcor's testimony had established that directives from an ethics officer were orders, not advice: to disobey or disregard them would result in swift and severe sanctions. 4 Pages 14-15 of the Appellant's Corrected Initial Brief. 5 You can find the Second Declaration of Lance Marcor – and other key documents in this case – at the Scribd account of AnonLover. 6 Page 22 of the Appellant's Corrected Initial Brief. 7 Pages 22 to 23 of the Appellant's Corrected Initial Brief. 8 Page three of the Appellee's Joint Answer Brief: April 4, 2012. Scientology's legal team also offered a detailed account of how many refills Kyle Brennan had bought for his medication in the weeks leading up to his death in a bid to argue that even before he arrived at his father's apartment he had not been taking his medication regularly. Their account is vigorously disputed by the other side. Kyle could simply have bought refills and put the pills in his original bottle, thus confounding the defence's calculations, Lirot points out. 9 Page six of the Appellee's Joint Answer Brief. 10 Page seven of the Appellee's Joint Answer Brief. On the other hand, Gary Robinson – the brother of Kyle's mother, Victoria Britton – said he had spoken to his nephew by phone in January, when he was visiting his aunts and again on February 7, on that occasion for two and a half hours. Robinson's statement said: I asked Kyle if he was still taking his Lexapro. He told me that he was taking it every day since his assault in Hawaii on February 5, 2007. Declaration of Gary Robinson, submitted to the court. In his statement Robinson also says: He realized that the Lexapro was helping him although it made him sleepy and he didn't feel like eating... He promised me he would continue to take them, he had enough saved up to make it home, and he would get a refill when he returned to Virginia. We then talked about his future plans. He sounded very upbeat and eager to back home and school. This contrasts starkly with the portrait of Kyle that his paternal aunts gave in their accounts. 11 Page seven of the Appellee's Joint Answer Brief. 12 Page nine, Appellee's Joint Answer Brief. 13 Page 13 of the Appellee's Joint Answer Brief. 14 Page 43 of the Appellee's Joint Answer Brief. 15 Page 44 of the Appellee's Joint Answer Brief. 16 Quoted on page three of Lirot's Reply Brief, but you can also find it on page 18 of Officer's Yuen's deposition posted at AnonLover's archive of key documents in the case. (See also pages 29-32 of the deposition). 18 From page 11 of Lirot's Reply Brief; page 11 of the Clearwater Police Department Report (2007-3872 Suicide). 19 From page 13 of Lirot's Reply Brief. 20 Pages 15-16 of Lirot's Reply Brief. 21 Page 22 of Lirot's Reply Brief. 22 Citing Overby v. Willie, 411 So. 2d 1331, 1332 (Fla. 4th DCA 1982). Page 23 of Lirot's Reply Brief. 23 Page 23-24 of Lirot's Reply Brief. 24 From page 28 of Lirot's Reply Brief. Marc and Claire Headley have refused an offer from Scientology to inform on fellow critics of the movement in return for having their hefty legal costs waived – and now their supporters are rallying round. Marc and Claire Headley, faced with a $40,000 legal bill after unsuccessful lawsuits against Scientology, have nevertheless refused the movement's offer to waive the fees in return for informing on fellow critics. In response to their plight, well-wishers have raised nearly half that sum for them within 24 hours of an appeal fund being set up. In the latest in a steady stream of scoops, Tony Ortega at Village Voice on Thursday reproduced a letter from Scientology lawyers that set out three conditions to be met if they want to avoid paying their $42,852.06 legal bill. provide information on other Scientology critics, in particular Marty Rathbun, a leading figure in the so-called independent Scientology movement. Rather than cave in to these demands, they decided to pay the bill in full. They also had to use up all the savings they had put aside for a new addition to the family: Claire is currently pregnant with their third child. Ortega reported that Actor Jason Beghe, another former Scientologist turned outspoken critic of the movement, persuade Marc Headley to set up a fund to help recoup the money the Headleys paid out to Scientology. Beghe has put a thousand dollars of his own money into the fund, which has a target of $45,000. “The idea that the Headley's would have to pay even a dime to those criminals is unacceptable and shameful,” Beghe wrote in a message kicking off the fund. From 2006, Marc Headley's pseudonymous postings as Blownforgood at message boards such as the one at Operation Clambake offered the first, detailed accounts of the violence and abuse at the top of the movement. Headley wrote about the beatings handed out by Scientology's leader David Miscavige at the Int Base, near Hemet, in California, where the movement's top executives worked. Headley was the first to tell the story in detail of the now-notorious musical chairs incident, in which Miscavige had executives fighting to win in order to avoid being banished from the base. All of Headley's allegations were subsequently confirmed by other defectors, as former members began to go public in 2009 with allegations that had until then mainly been made pseudonymously on Internet message boards. 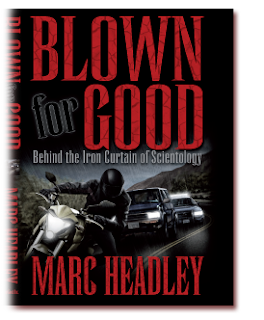 That same year, the Headleys launched separate lawsuits claiming damages for what they had both suffered during their time in the Sea Org – and Marc Headley published his book, Blownforgood. A California federal appeal court rejected both lawsuits earlier this year. But the judgment gave clear indications about how such actions might be best pursued in the future – and the credibility of their accounts was not called into question. Gagging orders are nothing new in Scientology litigation. At least two other potentially devastating lawsuits, by former Sea Org members Daniel Montalvo and John Lindstein were settled out of court, with the plaintiffs making no public statement since. And earlier this year, the movement had to move quickly to limit the damage after making the mistake of suing former top executive Debbie Cook. Having taken her to court for her criticism of Scientology management, their lawyers had to stand by while she offered devastating details of abuse at the top in court testimony that was reported around the world. A settlement with a gag clause ended what had been a public relations disaster for the movement. Even the copyright grab for Marc's book is not without precedent. Former member Jon Atack, who in the late 1980s and early 1990s was the movement's most effective critic, was presented with a similar offer. Atack was subjected to a dirty tricks campaign that nearly broke him. Private investigators tried to gather information on him; he was verbally abused on his doorstep by zealous Scientologists and denounced in noisy demonstrations; and he was dragged into the courts. It was just when he was this low point that Scientology made its move. “A few months ago, I reluctantly responded to the latest in a long line of Scientology offers of settlement, willing for the first time to offer my silence in return for a cessation of hostilities and the payment of compensation. Atack of course, is the author of A Piece Blue Sky, the definitive account of Scientology during the Hubbard years. Perhaps the most surprising aspect of the offer made to the Headleys is the explicit request that they inform on their fellow critics; that they effectively act as spies for Scientology. Perhaps equally astonishing is that the movement was prepared to put this offer down in black and white. Thus when the Headleys decided to say no – and to go public – the movement was wrongfooted. Scientology of course, sees the matter rather differently. “The church makes every effort to participate in good-faith confidential settlement negotiations,” spokeswoman Karin Pouw told the Tampa Bay Times. That the Headleys turned down this deal at no small cost to themselves, will come as no surprise to their supporters and admirers. And it is a measure of the respect and affection that they are held that the appeal fund has risen so fast. But the target sum has still not been reached. A couple of hours on, and the appeal fund currently stands at $22,132: you can make your contribution here.